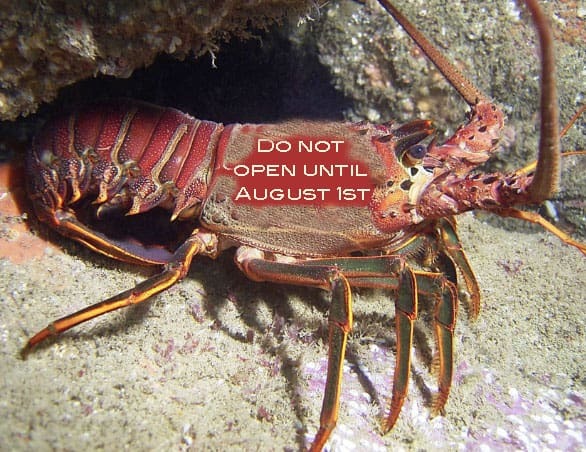 August 1st and the 2018/2019 Lobster Season opening is just around the corner and marina and hotel reservations have reached full capacity throughout The Bahamas, including at Bimini Big Game Club. You must possess a valid Bahamas cruising permit anytime you are on board your boat or in water when not on a dock, obtained at a designated Port of Entry. Spearing legal lobster is legal in The Bahamas. You may only us a pole spear or Hawaiian sling. Scuba gear cannot be used while taking lobster. Lobsters brought back to Florida must be in whole condition (not tailed). When transporting by air to any US destination you should contact the US Fish and Wildlife Service for regulations regarding transport of lobsters, fish and conch. Always be aware rules & regulations are subject to change at any time. Be sure to check for any changes with the Bahamas Department of Marine Resources at https://www.bahamas.gov.bs.